Alton Elementary is starting up its campaign to collect Box Tops for the 2018-19 school year. 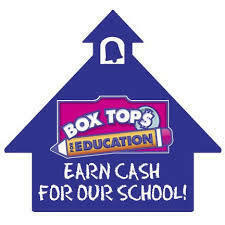 For each box top that is collected the school will receive ten cents. That doesn’t sound like much, but with all that are turned in each year by all of the students, it adds up. Please ask friends, neighbors, co-workers, and family to help us out. Money earned will help to support the needs of our students here at school. Your child will be given a collection sheet. Box tops need to be trimmed and attached to the sheet with glue or tape. The sheet will hold 25. When it is full, send to school, and your child will receive 5 tickets that can be used at the Comet Store. The more sheets filled-the more tickets earned. It is a win-win situation. Please make sure that the date on the box top is NOT expired.